Thank you for a successful PVMS 2019! Thank you to everyone who made PVMS 2019 a resounding success! Over 130 microbially-inclined folks from all around the Pioneer Valley shared and discussed their cutting-edge research. Relive the day in photos and catch up on Twitter at #PVMS2019. A big thank you to our keynote speakers, Drs. Mandy Mueller, Sarah Hird, and Marco Keiluweit, for sharing their fascinating work and microbial insights. 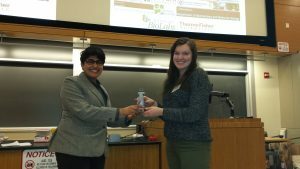 Special congratulations to our PVMS 2019 award winners, Elisa Bello (Best Talk, pictured left) and Korin Albert (Best Poster, pictured right). Stay tuned for PVMS 2020! What’s next? PVMS 2020 is coming up next January! If you have suggestions for PVMS 2020, or would like to help organize, please email us at valleymicrobes@umass.edu. Here’s to another year of microbial discoveries, and we’ll see you next year! We’re excited to announce the schedule for PVMS 2019! And remember, if needed, you can still register at the door for only $25. See you soon for PVMS 2019! We’re a month away from PVMS 2019! The PVMS organizing committee is busy crafting an exciting schedule filled with exciting microbiology research from all over the Pioneer Valley. We’re days away from announcing the schedule! While you wait, here is some exciting work from our keynote speakers! 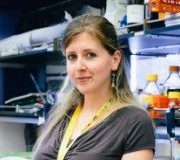 D r. Mandy Muller (UMass Amherst) studies viruses and how they affect host cell behavior. 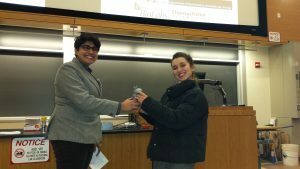 You won’t want to miss her recent research showing how nuclease escape elements can protect RNA from cleavage by viruses. 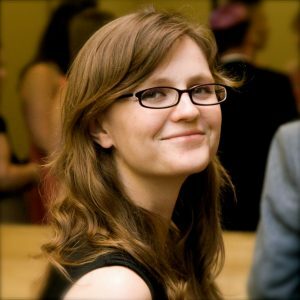 Dr. Sarah Hird (UConn) studies the evolution and ecology of host-associated microbiota. Read her recent review arguing that evolutionary biology needs wild microbiomes. 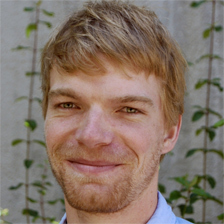 Dr. Marco Keiluweit (UMass Amherst) studies the microbial biogeochemistry of soils. Check out his work studying how pockets of anaerobic conditions in soils can lead to carbon stabilization, and what microbes have to do with it. PVMS registration ends today, December 17th! Today is the last day for early-bird registration for PVMS 2019! Between our exciting keynote speakers and soon-to-be-announced presenter lineup, PVMS 2019 has something to offer for every microbially-inclined person in the Pioneer Valley. Want to join the microbial celebration? Be sure to register for PVMS by today, December 17th to unlock our early-bird special (only $20). See you there on January 18, 2019! Last call for PVMS registration is December 17th! We’re just days away from the PVMS registration deadline of December 17th! PVMS 2019 promises to be a day full of engaging presentations and riveting posters. As the only regional microbial symposium for the greater Pioneer Valley, PVMS is a fantastic networking opportunity for students and scientists at all levels to come together and celebrate microbes. Need more convincing? Check out our keynote speakers! Be sure to register for PVMS by December 17th to unlock our early-bird special (only $20). See you there on January 18, 2019! The PVMS 2019 organizing committee is busy crafting an exciting symposium schedule! PVMS 2019 will feature everything microbial under the sun, including host-microbe interactions, microbial evolution, protein folding, virology, microbial genetics, biochemical physiology, microbial ecology, biogeochemical cycling, and more! We have an exciting lineup of keynote speakers that are sure to get you thinking about microbes in new ways. Be sure to register for PVMS by December 17th to unlock our early-bird special (only $20). PVMS 2019 Abstract Deadline Extended to Nov 5! 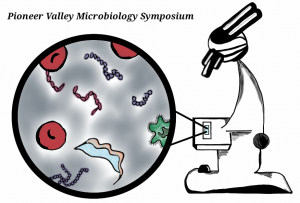 You still have time to be a Valley Microbe at PVMS 2019! The abstract submission deadline has been extended to Monday, November 5! Please see the Abstract & Presentation Guidelines for information on how to submit your abstracts by November 5, and don’t forget to register by December 17! We’re pleased to announce the keynote speakers for PVMS 2019! We hope you will join us for what is shaping up to be an amazing event! Don’t forget to submit your abstracts by October 31, and register by December 17! PVMS 2019: Submit your abstracts by October 31! Are you a Valley Microbe? We’re gearing up for PVMS 2019, and you can be a part of the microbial magic! The deadline for abstract submission for PVMS 2019 is October 31. All the information can be found in the Abstracts & Presentation Guidelines page, and on our PVMS flyer! Please distribute widely. And don’t forget to register for PVMS 2019 by December 17. Follow registration instructions here! PVMS 2019: Save the Date! The Pioneer Valley Microbiology Symposium organizing committee is happy to announce PVMS 2019! The next iteration of our symposium will be held on January 18, 2019. Interested potential participants may either click here to register, or select the registration link at the top of the page. We can’t wait to see you all again this year! Additional details to follow shortly! 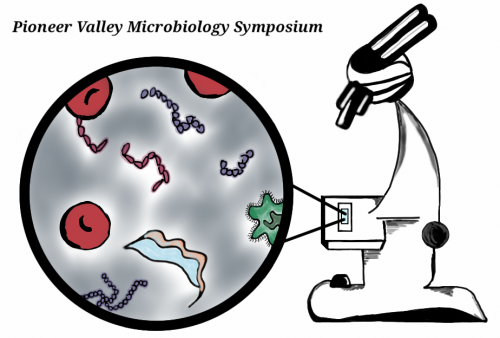 Be sure to follow us on Twitter (@ValleyMicrobes) for all breaking symposium news. © 2019 Valley Microbes 2019. All rights reserved.